located in the heart of san marino, CONVENIENTLY close TO PASADENA, South pasadena, Arcadia, monrovia, and all the san gabriel Valley! SPIN movement is a boutique Spinning & Sculpt studio located in the heart of the San Gabriel Valley. We specialize in high intensity, heart pounding, fully body workouts that will push you to your limit and keep you coming back for more! Our bikes are the newest generation of Spinner® Belt Fusion Bike, with a computer on each bike to track your progress; RPM, Heart Rate, Cadence, distance and calories burned. We also offer Spivi technology that monitors performance data in the classes with a live leader board display and targeted performance views for power, Cadence, HR and other metrics. Riders can get performance analysis on group and personal activity in real time and after each class. Our Sculpt classes use body weight exercises, gliders and resistance band training utilizing The Great Yoga Wall to tone every muscle in your body to build a long lean body. Plentiful FREE PARKING right in front of the Studio! 45 minutes of pure cardio! 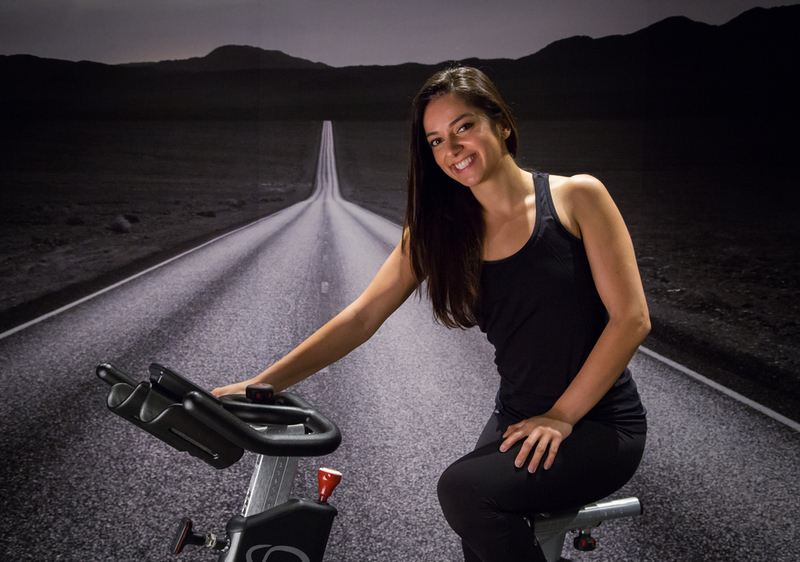 Shut out the world & ride to the latest beats with the best instructors in LA! This ride is full of hills, sprints, climbs, & anything else the instructor may throw in. 45 minutes of strength training. Our mix of resistance bands and body weight exercises will tone, build strength and increase endurance. A true 60 minute FULL BODY WORKOUT! Our signature class offers 30 minutes of high intensity cardio on the bike followed by a 30 minute strength class in our Sculpt room. Best of both worlds! Nairi (pronounced like diary) loves impacting the lives of others through her classes. She loves the intensity and challenge of staying on the beat, as well as making the mind/body connection of music and rhythm. Monic fell in love with the contagious & inspiring energy, and the mind-body release of Spinning! Her favorite part of leading class is choosing her new favorite song and singin' along, and watching her riders challenge themselves and pushing their limits! What can I expect from SPIN Movement classes? Our classes are fun, exciting, heart-pounding and meant to leave you sweaty! Each class is designed for all riders and can be modified to your own comfort and fitness level. What if I'm a beginner, Can i come to regular classes? Absolutely! Each class can be scaled to your own fitness level. We are here to push you but we encourage you to listen to your body. You can take it at your own pace and build up as you get stronger. If you are a new rider, please arrive at least 15 minutes prior to the start of class so that the instructor can go over the basics with you to make sure you are ready to go! Any type of appropriate athletic (both tops and bottoms) clothing that you feel comfortable in is suitable. No, you do not need cycling shoes to ride. We offer baskets on the pedals so that you can wear any athletic shoe to take the class. What kind of clips do you have? We have both SPD and a limited amount of LOOK DELTA compatible clips. What else does SPIN Movement provide? We provide complimentary towels for your ride, and have digital lockers for your personal belongings, and on site bathrooms. We do not have showers. Our minimum age is 13 years old, and you must be 4’11” tall at minimum. If you are under age 16, you may not ride unless accompanied by a parent or guardian. If you are between the ages of 16 and 18, parent or guardian must sign a waiver for you in person. Click "Book Now" & create an account for yourself. You can sign up for your first class for only $10 online or by emailing us at info@spinmovement.com. You can also download our our dedicated App for iOS & Android, just search for Spin Movement in the app store. Yes! We now have a premium 7x filtration Flowater refill station. We also sell bottled water at the studio, if you forget to bring your own. Make sure to hydrate before and during class!